Ideal for those times when a large bag is too cumbersome, this smaller lightweight tote is fashioned in black and tan and has sturdy handles for easy carrying. 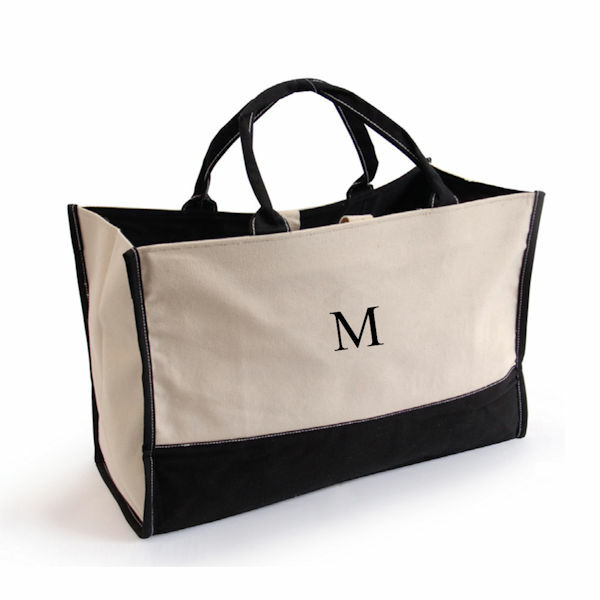 Initials are embroidered for an extra special personalized gift! Measures 17 1/2" x 12" x 7 1/2". Personalized with up to 6 characters. Allow 3 weeks. No rush delivery or gift box. All personalized characters will be the same size and in order (up to 6).